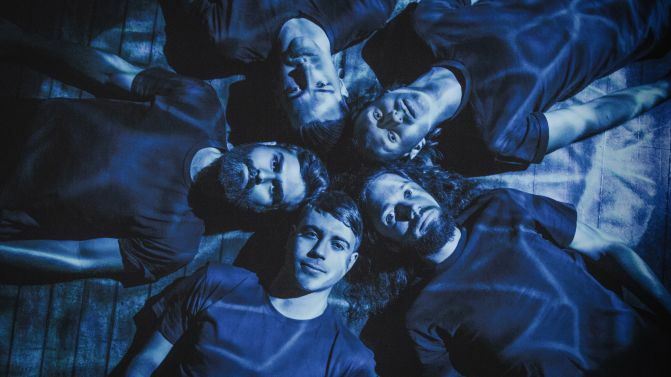 Having just released their outstanding fourth studio album Ark last week, we thought we’d ask Byron Bay quintet In Hearts Wake about three albums that helped shape who they are today. Charged with answering such a probing question, guitarist Ben Nairne. I got this album when I was 12 and would listen to it in the car or on the bus on the way to school most mornings. I love the way they incorporated so many strings and horns into the album, it was so fresh and unique to me. To this day I still listen to this album regularly and it doesn’t feel like it has aged at all. The first time I ever attended Splendour In The Grass was in 2003 when I was 13. Coldplay were one of the headliners and they had released this album the year before. I remember standing there and hearing the piano intro to Clocks, the entire crowd instantly went crazy and it was the first time I had witnessed a proper festival crowd. Every time I hear that song it gives me nostalgic goosebumps and reminds me of that show. I don’t think I’ve ever felt that way at any show since. This album was released in 2005, a year or so after I’d started playing in metal bands and it was so exciting. I remember thinking it was a masterpiece, every song was a banger and I wanted to write and play music just like that. In Hearts Wake actually covered Reflection at a battle of the bands back in 2006 which was actually our first official gig under that name. Three albums In Hearts Wake. permalink.